It's a robot invasion! 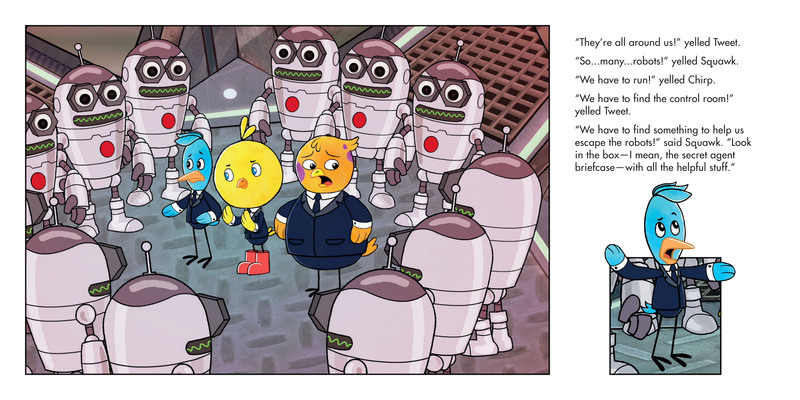 Today, Chirp and his friends Squawk and Tweet are playing at being secret agents on a top-secret mission — they must shut down an evil robot factory! 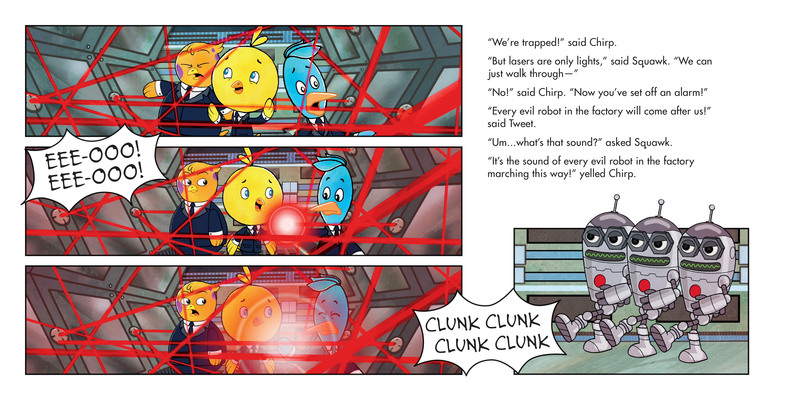 Unfortunately for secret agents Chirp, Squawk, and Tweet, the factory is filled with dangerous traps! Somehow they must find the control room and stop the evil robots once and for all. With some fancy robot dance moves and the pushing of many buttons, will the three friends manage to save the day?